These days, everyone who travels has their own idea of "travel essentials,” but aside from luggage and a toothbrush, what do we really need? The truth is... very little! We've been on the road for more than four years and while we understand that we could travel with nothing more than a toothbrush, one change of clothes and our backpacks, we have picked up a few gadgets along the way that we think are invaluable. Aside from obvious travel electronics like an MP3 player and a laptop, here are a few travel necessities that we have found very useful on the road. This little item can be a life-saver! Sometimes you need to boil your water to drink. Other times, you want to make a batch of ramen noodles and just stay inside all day. Many budget hotels don't have a kettle, or a restaurant to get hot water from. 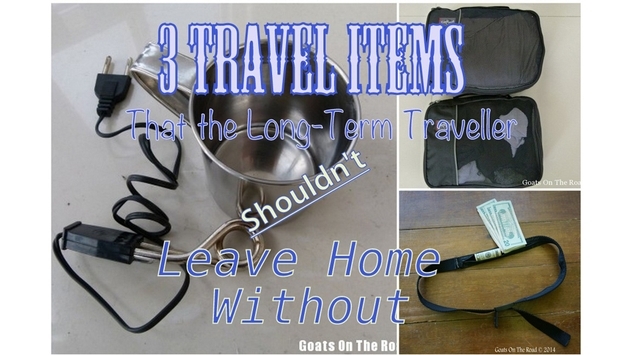 The genius heating coil is a great gadget for any long-term traveler. We've even used it to boil eggs! 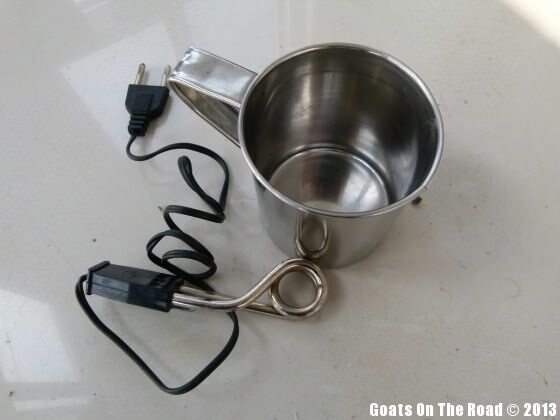 It's best to pair this gadget with a small metal mug or cup, and as long as you have an electrical outlet, you've got hot water. Break out your heating coil and make your morning coffee or tea in 5 minutes. Not too many people have heard of the coil, but after travelling with it for four years, we can't see ourselves without it! These things will save you a ton of space! 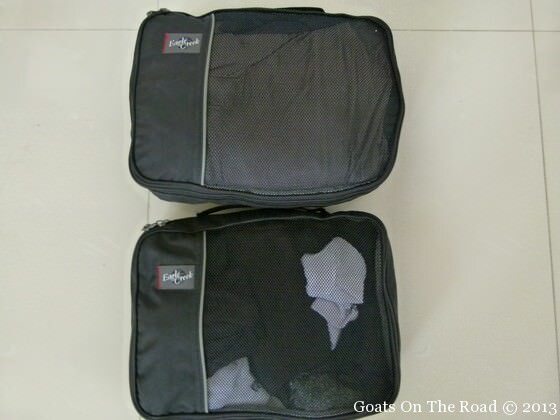 Pick up one small, one medium and one large and you can separate your clothes inside your backpack. Use the small cube for underwear, the medium cube for tops and the larger one for pants and not only will you have more space in your bag, but you'll easily be able to get to the clothes you need without having to dig through a pile of wrinkled up laundry. We recommend you to roll your clothing very tight, and place them in the cubes snugly. These little cubes are pretty durable so you can stuff a lot of things into each one, press it down with your knee and force the zipper closed. There were times when we would spend 15 minutes trying to find what we needed in our bags, and since having our packing cubes, it's as simple as pulling out the square we need and retrieving the item in seconds. If you decide to get all your cubes the same size, consider buying different colors so that you can still differentiate between them. Not just any money belt; you want to get the one that actually looks like a belt (see picture below). This thing can hold up to $1,200 in American $100 bills and there is no safer place to hide your money. 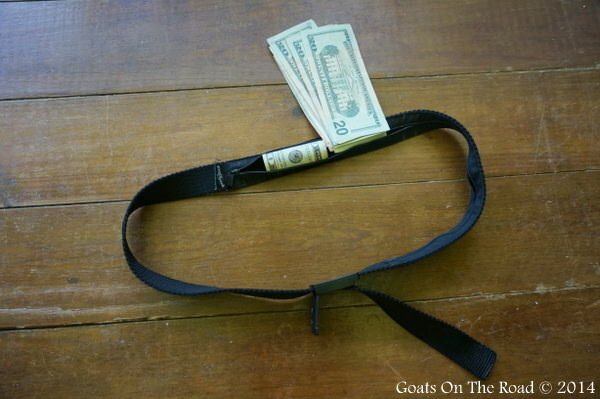 Muggers have clued-in to the normal money belt that hides under a traveler's shirt, but few of them know about this style of money belt, so even in the worst of situations, your cash will be safe around your waist. It's also great for travelers who like to leave their cash in their room. If someone decides to break in and hunt around, it's very unlikely that they'll be checking your belt. We think that these are even safer than a safe, and we wouldn't leave home without one. Next time you're packing up for a long trip around the world, consider these three travel essentials. We've found them to be incredibly useful in our travels and we think that once you give them a try, you'll never leave home without them. What travel essentials do you recommend? Share with us in the comments below!